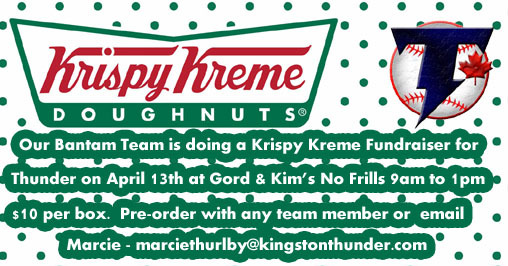 Krispy Kreme Fundraiser: Our Bantam team is doing a Krispy Kreme fundraiser for Thunder on April 13. $10 per box. 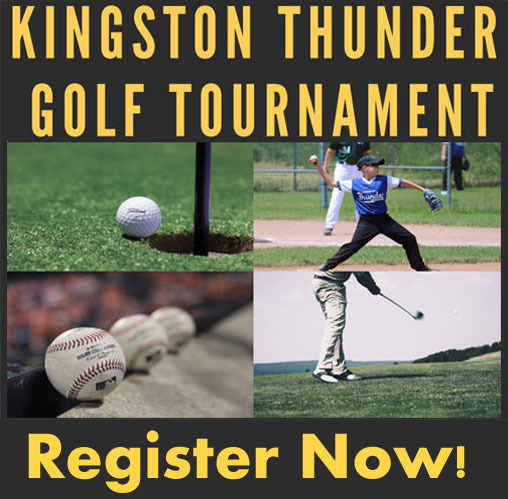 To pre-order a box please contact anyone on the team, or marciethurlby@kingstonthunder.com. Or they can come and buy a box at No Frills on Bath Rd between 9:00 am and 1:00 pm. Our elected positions were filled at our AGM on October 22nd. Charity Game for Cancer: Thanks to everyone who planned, participated, played and donated for the Cancer Charity Night. With the donations from the online auction and the evening we will be donating approx. 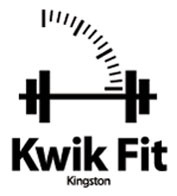 $2500 to the Cancer Society Kingston Chapter. Congratulations to the EOBA Champions - Quinte Royals! 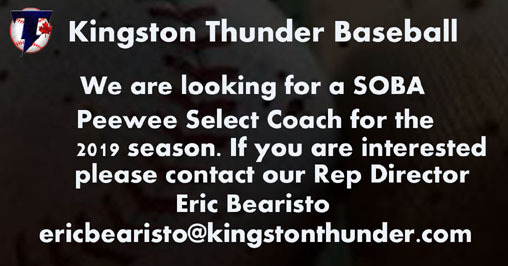 Thunder Minor Bantams win EOBA B Championship: In Ajax/Pickering Aug. 10-12 our 14u Team captured the EOBA B Championship. 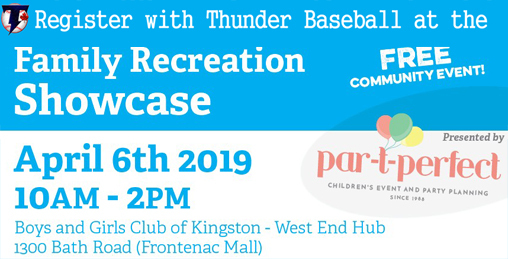 In the semi-finals Thunder defeated the Pickering Red Sox 7-4. 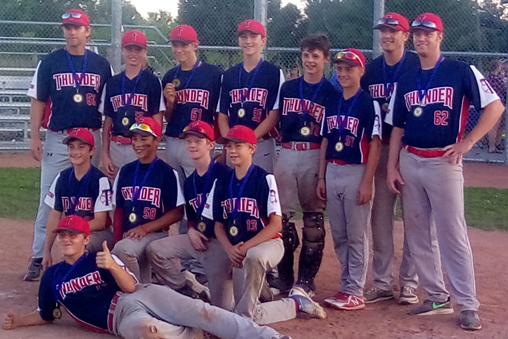 Thunder won the Championship game 8-4 over the Clarington Orioles.